Click on the image below to read our short e-book which shows some of the results we've achieved in our website redesign work. Image link not working for you? Read the e-book here. Recently we have been working on an integrated campaign - B2B and B2C - where content was integral to the plan. This was for a financial services client who had a wealth of market and subject expertise. The client got behind the idea, and there was lots of internal discussion about the content that they could provide from their internal subject experts. Launch time came, but no usable content was forthcoming. We advised strongly that we didn't want to waste money on generating traffic to a landing page without any content to fulfill with. Whilst the client was understanding, there was also a drive to get out into the market and establish a presence, so the decision was taken to launch, and ask landing page visitors for their details to arrange a meeting to discuss their needs. So we generated lots of traffic, but limped along at under 1% conversion for all visitors to the landing page. Our model was relying on an aggressive 8% conversion rate for the landing page. This was worrying, as our ROI immediately looked very poor. Finally, the content was worked up and we reworked the landing page to put it behind the response form, so visitors could only download it if they gave us their contact information and permission to contact them. Overnight, the conversion rate for the landing page visitors increased to 4%. Over the following week, this rose to 8% where it has stayed ever since. So, from first hand experience, we can whole-heartedly agree with this quote from Gary Vaynerchuk. Essential to this redesign, was showing the sheer breadth of the Avon Motorsport range in a more logical way. Firstly, we created a much clearer and more intuitive navigation system for the full range of Road legal, Motorsport, and Historic tyres and enhanced the search functionality. We incorporated an international Dealer Locator, and an easily navigable ‘Resource Centre’. Covering everything from tyre applications, ordering procedures, fitment guides, and safety information. 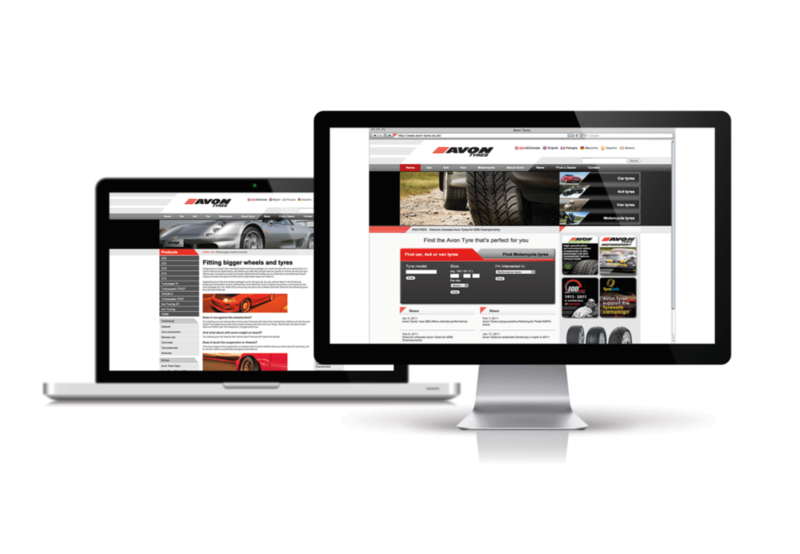 Avon Tyres wanted to update its website in order to increase accessibility, improve the user experience, and display clearly their seriously broad product range – in five different European languages.